Cindy Churchill helps facilitate estate sales. She is the one you’ll see sitting behind a card table counting your change when you buy something at an estate sale. Churchill operated her business for a decade with no idea that she was supposed to be collecting sales tax. Then in 2012, Churchill received a notice in the mail from the Colorado Department of Revenue that she owed $287,000 for unpaid sales tax dating back eight years, plus interest and fees. She was shocked. Click here to read more. But in 2011, he was hit with a time-consuming audit from the Colorado Department of Revenue (DOR). Despite significant efforts to argue the dealership’s legal basis for its practices with the auditor, he was served with a final determination letter that the dealership owed over $600,000. Click here to read more. Ed Rothschild knows Colorado’s complicated sales tax system is not good for businesses. And as he sees it, if the system isn’t good for businesses, it’s not good for local cities either. Rothschild owns a small business with locations in three home-rule cities. He has to maintain seven different sales tax licenses. Each month, his employees have to calculate and file multiple sales tax forms to multiple entities. Click here to read more. Now Archer owns a similar business with the same business model in Colorado. But here, Archer’s Director of Operations must spend an entire day each month on sales tax remittance and compliance. Click here to read more. 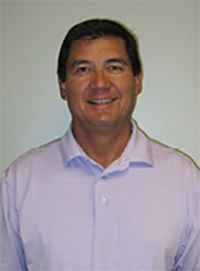 In 2008, Mark Tomko was working with the City and County of Denver on a first-time sales-and-use tax audit of his company, Metco Landscape. While the audit was in progress, the City and County of Denver Treasury Division decided it wanted to change how professional landscapers like Metco Landscape collect sales and use tax and gave Metco Landscape a $500,000 assessment for three years of uncollected sales tax. Tomko was shocked. How could a seemingly routine audit by the City and County of Denver turn into a huge assessment for sales tax he previously had no reason to collect? Click here to read more.